The cardinal was able to fly in and out of the netting so it was all good. 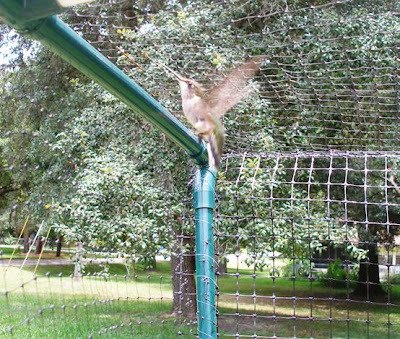 Yes, that's a HUMMINGBIRD caught inside the netting a few days ago. The little one saw it so I ran out to take a photo of it...then another photo...then another. I think I took about 10 photos plus a video of this poor little bird. Yes, I said POOR little bird because unlike the cardinal, this one couldn't find its way out of the net. 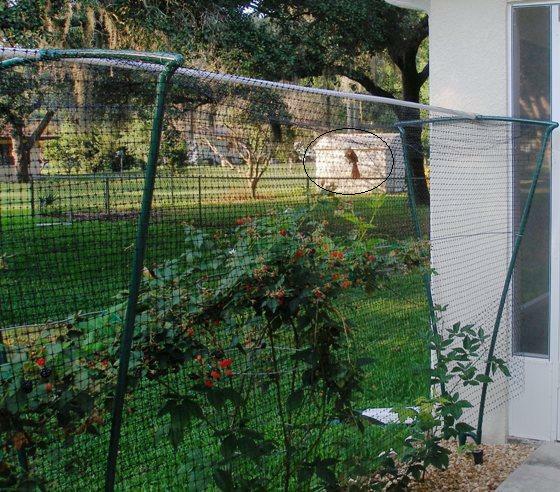 It kept flying up therefore trapping itself more.....so I had to take matters into my own hands....literally! That's the little birdie on my hands. I had to take it out of the net ~ somehow forcefully because its tiny little claws/feet? were holding on so tightly to the net ~ so it could fly away. 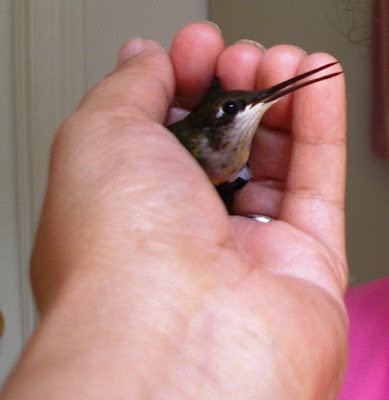 Of course I had to take pictures first as a proof that I once had a 'hummingbird' on the palm of my hands. Tee hee...The little fellow zoomed out of my hand as soon as I opened my palm. Disclaimer: No BIRDIE was hurt during this picture taking! astig! I wonder kung kaya ko yan. musta na. hope you're all doing okay. I figured,you must be really busy nowadays. Uy, wala sa Pinas nyan! so tiny yet so cute! Ganyan pala kaliit ang hummingbird! Naku, palagay ko kung dito sa Pinas yan, bird cage ang bagsak ni little fellow. Swerte nya, he was caught by the gentle hands! Alam mo, kami dito para lang makapag-bird watching, nag-i-stop over pa kami sa NLEX somewhere in Pampanga! Sana rin di sila hinuhuli ng mga brothers mo dun. hehe..joke!